Please make sure to show up at least 20min before your briefing session. Please wear comfortable clothes and closed shoes. With over 35,000 square meters of nature for everyone to explore, conquer and enjoy, Aventura features the longest series of thrilling top zip lines in the region, with over 80 climbing, tree-surfing, zip-lining, rope-crossing challenges spread over 5 different levels, off the ground and between the trees. 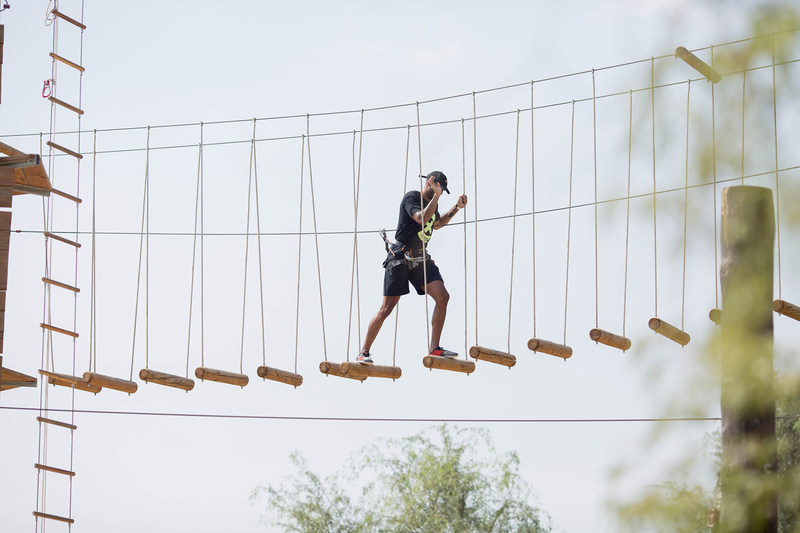 Rangers: Designed especially for young children with bridges, zip-lines tunnels, zig zag around the greenest area of the park. 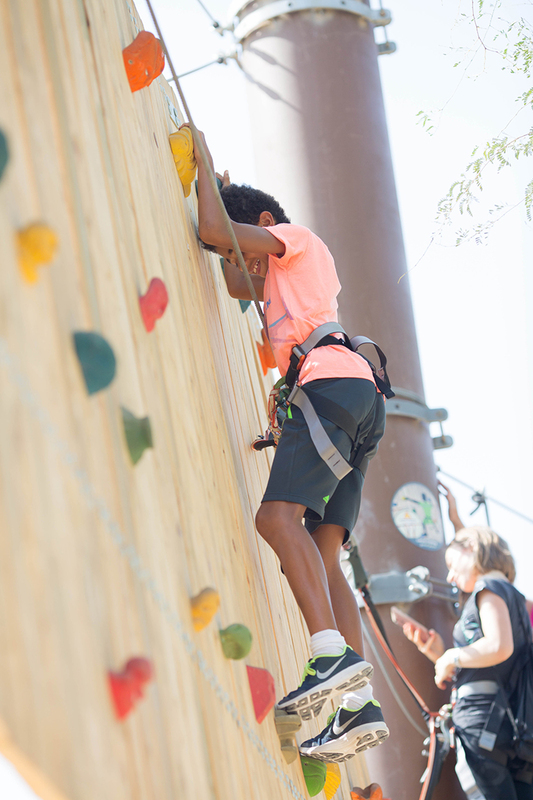 Explorador: Designed for the whole family, both adults and children can enjoy this circuit together, with 17 activities that are a great introduction to fun and adventure at 2-3m high. Aventura: An intermediate difficulty circuit for both youngsters and adults, with complexity and height of challenges increasing, finishing with 3 amazing zip lines between the trees. Extreme: This is the place for the most daring! The famous 25m Tarzan Jump, the challenging Parrot Trunks, followed by the sliding surfboard. Thriller: Filled with exhilarating zip-lines, buckle up and surf through the trees ending with the thrill of a 160m long zip-line. Aventura Parks can be easily accessed through several transport options. From anywhere in town, you can take the metro station MRED station 2 and stop at Rashidiya Metro Station 2. From Rashidiya Metro Station, join the bus station 10 and take the line 11A direction Awir Terminus. Aventura Parks bus stop is Mushrif Park 01. The park is then accessible by the footpath. Please expect an entry fee of AED3 per person or AED10 per car that is charged separately by the Dubai Municipality to upkeep the beautiful 5 square km Mushrif Park. If you stay long enough or come at night, you can experience the forest with your head torches and special lighting after sunset. The park is open until 9 pm during weekends, please check timings on the website. The Aventura Cafe offers delicious and healthy snacks and meals for all ages, beverages, coffees and everything in between.